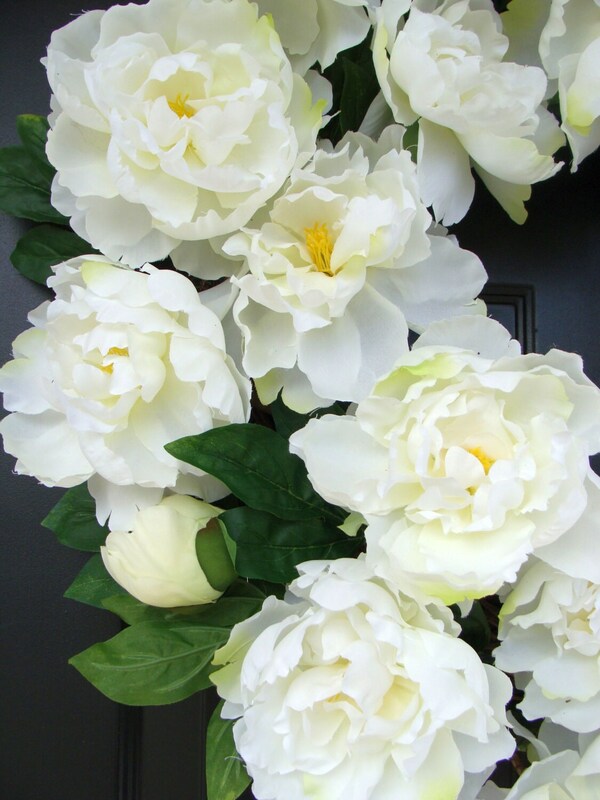 An XL, 24 inch white peony silk wreath. 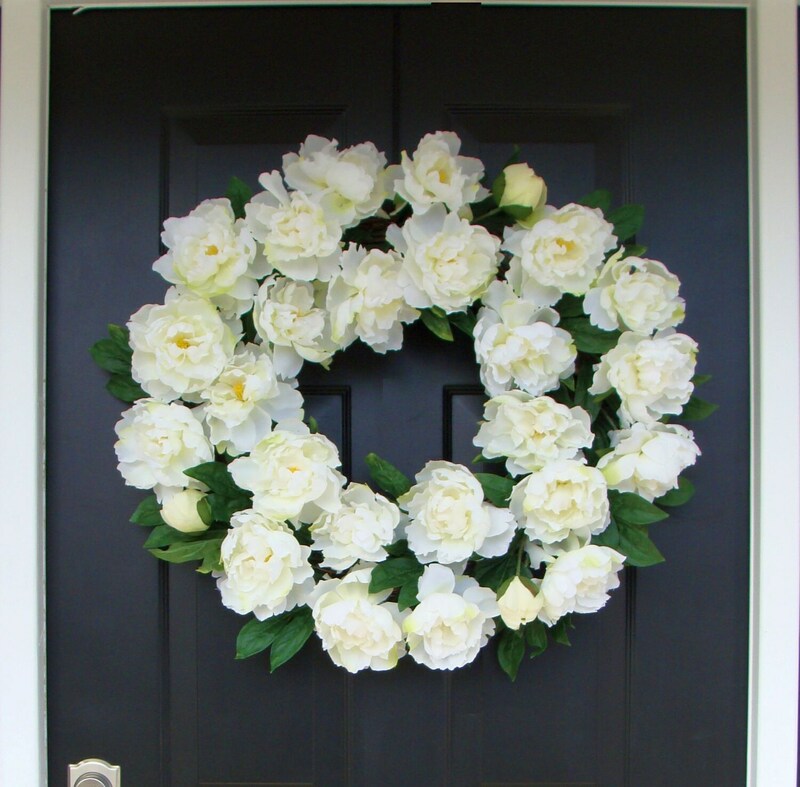 Perfect for weddings, front door, anywhere you would like to make a statement! See my shop (www.elegantwreath.etsy.com) for many other beautiful, quality, handmade wreaths! 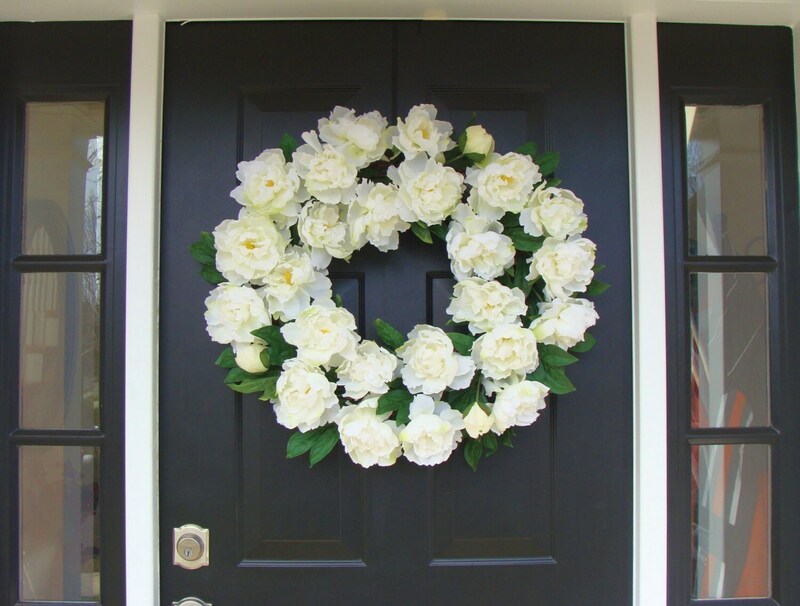 Any wreath will make a great gift for a loved one or friend so you can always get two and save on shipping or have your gift shipped directly. 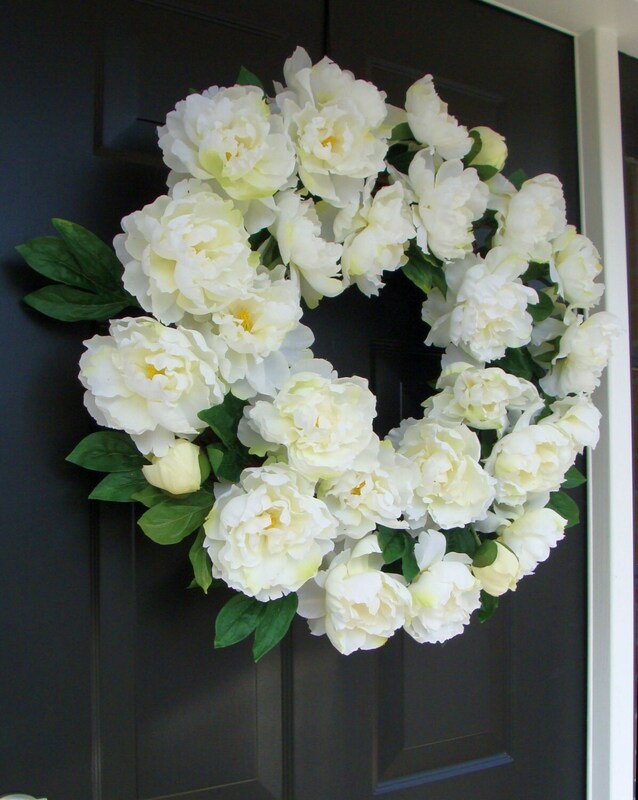 Custom wreaths are always available so just convo me for options. Wreaths are always shipped via insured UPS service. Wow! 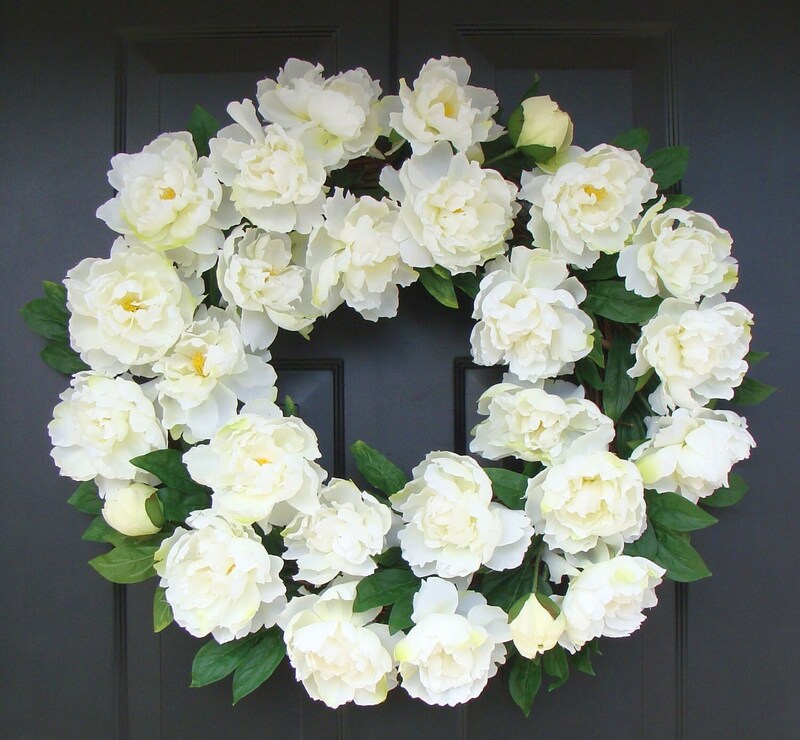 what a gorgeous wreath. so glad I ordered the one with yellow. It looks fabulous on my dark purple door. I couldn't be happier.